This is the blog of Red Spot Coaching, career coaches centred in Birmingham, England’s second city. Our website is at www.redspotcoach.com. We help individuals find their dream job, write effective CVs and prepare for job interviews. We also help people cope with redundancy and retirement, as well as delivering success in a new post. And for those thinking of setting up a business, we have some thoughts as well. We can provide some of the same services to companies and organisations through our sister consultancy, Iwan Thomas Associates. Iwan Thomas, principal of Red Spot, is trained both as a career coach and as an executive coach.He has personal experience of job hunting and redundancy, and has recruited professional and support staff on behalf of various law firms. He is an Associate of the Chartered Institute of Personnel and Development. 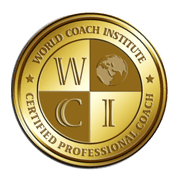 As part of his commitment to professionalism in coaching, Iwan is a member of the International Coach Federation. Their Code of Ethics can be found here. We can coach face to face, or by telephone, whether for individuals or groups. From time to time we run webinars, details of which appear on this blog.